Schools continue to be intimidating places for most parents. It is a place they visit but rarely feel a part of. 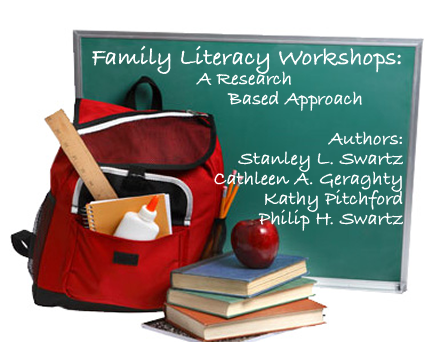 The successful family literacy program attempts to overcome this by persuading the parents that the role they play is critical to the success of their children and that the school is truly interested in developing a partnership between the home and the school. This is also a time for the school faculty to explain the behavioral and academic expectations for students, and how parents can support those efforts at home. This workshop activity is designed to help set the tone for future workshops by providing an opportunity for parents, students and teachers to work together on a task. This activity addresses both Reading Comprehension, and Literacy Response and Analysis by engaging children and parents in discussion based on a story, movie or television program. 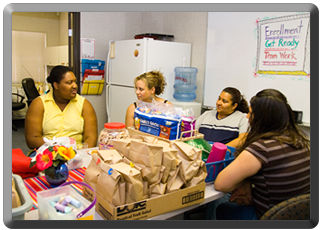 This activity addresses Listening and Speaking Strategies, and Written and Oral English Language Conventions, and Writing Applications by having the family create a story based on a shared experience. This activity addresses Reading Comprehension, and Writing Strategies by using periodicals to find pictures to construct a story around. This activity addresses Writing Strategies, Writing Applications, Written and Oral English Language Conventions, and Listening and Speaking Strategies as children form questions, take notes and develop a news article that celebrates good news.